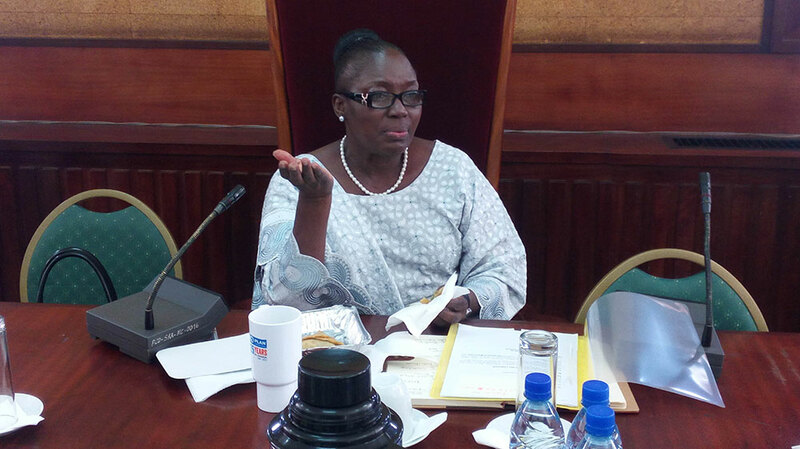 The speaker of Parliament Rebecca Kadaga has demanded for the speedy restoration of lost forest cover in the country. The speaker this morning quizzed the National Forestry Authority (NFA) on what steps it is taking to stem the massive degradation of forests that has seen the nation’s forest cover drop to just 9%. Kadaga had invited the NFA alongside several corporate companies for a meeting to generate solutions to the massive degradation of forests across the country. “How do we get back the 100%? That’s what I want us to do, how do we get back the 100% where we are supposed to be…I’ve invited these people to invest in tree planting, to re-green this country.” She commanded. The companies represented at the meeting were Crown Beverages, Coca Cola Africa, Kakira Sugar, Kamuli Sugar, FUFA, UNFPA and Hariss International. Levi Etwodu who represented the NFA Managing Director explained that the Authority is only mandated to manage the central forest reserves which account for 15% of the forest cover in the country. He explained that in order to restore forests outside the reserves they have to engage the communities living around those forests and they can only advise them on land use. But an agitated Kadaga stated that she had called the meeting to inquire as to what the NFA required in order to grow the forest reserves to their original size. “What’s the cover of forest reserves? Are you at 100%? Don’t you need assistance in the forest reserves? She probed. “ let’s work together to help this country…..that’s why I called you here to help because it seems you have not understood the seriousness of the issue? She remarked. The Public relations manager for NFA Alisha Alibhai revealed that the authority is working with corporate companies like Coca Cola through their Corporate Social Responsibility tree planting programs to restore forest cover, she noted that the Parliament of Uganda was going to sign an MOU with NFA to restore 20 hectares of Mabira forest. Alibhai also revealed that the NFA has signed MOUs with districts as well. But the speaker noted that the visibility of these programs was minimal noting that she travels all over the country but rarely comes across forest restoration projects. The corporation secretary for Kakira Sugar S.K. Ayengar advised that there was need put a policy in place to regulate the charcoal industry noting that it was the number one cause of forest depletion in the country. “We should have a charcoal policy, have a regulation in place that if somebody wants to chop a tree in return he plants at least four trees before he chops one that way at least well protect our forest.” He offered. He also complained that there was no help from NFA in the provision of seedlings and yet his company works with at least 10,000 farmers who are advised to plant trees in the farm margins. Etwodu noted that the NFA would be able to provide at least 500,000 seedlings by March next year. Kadaga directed that the 500,000 seedlings be distributed amongst the companies present such that when they are made available she would be able to follow up and record the progress made in the tree planting exercises. Etwodu noted that the distribution of the seedlings would depend upon the size of the land that the respective organizations have to work with. “One hectare you have500 seedlings so well need to know what areas they are going to plant in for us to be able to do a breakdown.” Alibhai supplemented. Kadaga ordered that the NFA does follow up meetings with all the organizations present and report back to her in writing.